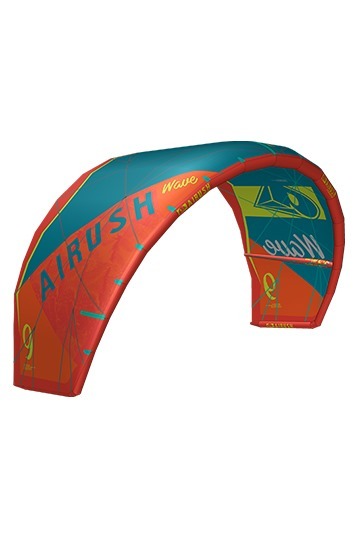 The 2016 Airush Wave Kite introduces a new level of refinement for this groundbreaking design. The unique design was engineered specifically for the wave enthusiast, this enables the kite to fly forward in the window when required, keeping the rider deep in the pocket, steering immediately no matter where it is in the window, then sitting back and drifting in the turns when more stability is required. Refinements in the chord length, wingtips and canopy layout make for a smooth power delivery and fluid steering consistent across the range, while the V3 bridle system maintains even tension throughout the kite enabling perfect steering even when depowered and sheeted out. The Wave responds perfectly to rider input and allows you to get into the perfect position on the wave, no matter what the wind conditions, taking your riding into a new realm.